Jesus answered them, ‘The hour has come for the Son of Man to be glorified. Very truly, I tell you, unless a grain of wheat falls into the earth and dies, it remains just a single grain; but if it dies, it bears much fruit. Those who love their life lose it, and those who hate their life in this world will keep it for eternal life. Whoever serves me must follow me, and where I am, there will my servant be also. Whoever serves me, the Father will honour.” (John 12:23-26 NRSV). In his book Monastic Practices, Charles Cummings, OSCO writes about the place of food in the daily Monastic life (see p.81). It is not a simple matter of filling our bellies to satisfy us. Eating is about participating and giving thanks for all the many ways the Monastic receives food. Monastics do not just eat food; we take food. In so doing, we remember each part of the food was the product of the sun, rain, soil, growing, farming, labor to harvest. The food such as bread needed the wheat, the flour, the eggs, the yeast, the kneading, baking, packaging. The grapes are tended to on the vine. They are harvested and over many years become wine. These things do not happen without something that is living dies, and/or someone giving over their time and talent to serve the common good of those who will eat. We recognize that everything we are eating and sharing is from God’s graciousness and others participating as co-creators with God. In today’s Gospel Jesus is accepting and announcing that the hour to give His life has come. His Disciples still do not know what to make of this action Jesus is about to do. As He does many times before, Jesus talks in symbolic language to help us to understand that what Jesus is about to do is about the fruit it will bear. If His death is going to bear fruit, then He must endure the shame and hardship of the Cross to bring it about. Furthermore, Jesus tells us that if we want to bear fruit as followers of Jesus; we must be willing to follow Him and give up ourselves in self sacrifice as Jesus did. We may or may not be called upon to suffer a horrible death by crucifixion. However, all of us are called upon to search for union with God seeking God’s will and letting go of ourselves to serve God and each other. “Never swerving from his instructions, then, but faithfully observing his teaching in the monastery until death, we shall through patience share in the sufferings of Christ that we may deserve also to share in his kingdom. Amen” (RB: 1980: The Rule of Saint Benedict in Latin and English. Conclusion of the Prologue p.167). What is Jesus calling on you to let go of, so that you may follow Him and serve others in His Name? How can you live more intentionally into Jesus’ invitation to discipleship? “Day by day remind yourself that you are going to die” (RB 1980: The Rule of Saint Benedict in Latin and English. Chapter 4:47. p.184). The above quote from Chapter 4 On the Tools of Good Works in The Rule hits us square in the face with a reality that will happen to all of us. Just as the ashes we receive at the beginning of Lent; Benedict gives us these words to remind us of our mortality. Benedict tells us to face this reality and do what God gives us to do in the here and now. He tells us to remember that we will die everyday as one of the tools for good works, so that we will make good use of everything we have been given to use. Especially the sacrament of time. We are not going to be on this earth forever. We are given time and tasks to do. We have been given those tasks because of God’s love for us. God wants us to do what we are to do in the here and now in response to that great love. St. Benedict spent his life seeking union with God through a life of continuous prayer in relationship with God and others. The Rule of St. Benedict which is a combination of The Rule of the Master, with texts borrowed from The Conferences and Institutes by St. John Cassian, and Benedict’s own additions; was his way of passing on the wisdom he learned from his life experience. It has been used, revised and adapted for the past 1500 plus years as a guide for monastics and non-monastics alike. Our contemplative prayer and mystical experience happens when we live with the awareness of God’s Presence in the ordinary tasks of life. Washing dishes. Cleaning our homes. Doing our job well. Attending to the relationships God has entrusted us with. Consoling the sorrowful, clothing the naked and welcoming the stranger. What are you doing with the tools and time that God has given you in the here and now? What do the words “Day by day remind yourself that you are going to die” say to you? Stephen said, “I can see heaven open, and the Son of man standing at the right hand of God’. (Acts 7:56) (A New Zealand Prayer Book, p.693). It sounds like St. Stephen had a contemplative and mystical experience while he was being stoned to death. It certainly was not a peaceful or silent moment. Being dragged out of the city and be stoned to death for proclaiming the truth he knew about Jesus as he did; yet, he had this vision of Jesus at the right hand of God. In the last two days of my mother’s life, she groaned and moaned a lot. To be honest, this was the first time I had ever been at the bedside of a dying person. It was a very powerful spiritual experience. When I asked the hospice nurse about the groaning and moaning, she said that mom was talking with the other side. As my mother was handing over everything physical and material, she was embracing ever so graciously what is spiritual. My mother could not talk in those final moments of her life. Yet, she did say one word very clearly that she had not said in sixteen years. She said, “Ma”. St. Stephen’s mystical experience of Jesus, and my mother’s were the work of the Holy Spirit. At the moment of the greatest chaos, pain, suffering and death; our God becomes ever more visible and tangible. In those moments, we see everything from God’s view point. All that is touchable in this life, becomes the “rubbish” that St. Paul wrote about in Philippians 3:7. What becomes crucial is the revelation of God who seeks union with us, as we embrace God in a holy union of body, mind, soul and spirit. Jesus, your glory is not in power alone, but even more in suffering and death, may Stephen’s vision crown our resolution and keep us true. Amen. (A New Zealand Prayer Book, p.693). Day by day remind yourself that you are going to die. (RB 1980: The Rule of St. Benedict in English, p. 28). I imagine the above quote will rattle some of my readers. What a way to begin the work week. Yet, it is just as important. The Season of Fall is about death and dying. The grass that was so green during the Summer months has been turning brown. The animals are gathering their food to begin hibernating for the Winter. The leaves are turning into their beautiful colors as they prepare to fall on the ground and die. All of these are reminders that life in this world begins and ends. While we are so fortunate to be here at whatever stage of life we are in, we have work to do. The work includes showing how beautiful the world really is and can be; even though it is all temporary. All of the things that we hang on to and have to let go of; are passing away and leading us towards a new life beyond the grave. Have you ever noticed that the leaves on the trees turn into their various colors without hardly ever trying to hang onto their leaves? Can you imagine what the world would be like if the trees complained as much as we do about having to let go of what we think is beautiful and worth keeping. Saint Benedict tells us to keep the fact that we are going to die in the front most part of our minds. He tells us this because the prayer and work we have to do is preparing us for the ultimate act of letting go. It is about letting go so that we can enter more fully into a relationship with God alone. The goal for Saint Benedict is to “prefer Christ above all else.” (Chapter 72). In centering prayer, we are practicing the acts of accepting things as they are and letting them go. We let go as the Holy Spirit takes us through silence into letting go because “only you, Lord, make (us) dwell in safety”. (Psalm 4:8. The Book of Common Prayer, p.129). As we let things go, we are led into contemplative prayer so that we may view things from God’s perspective. Centering prayer and contemplative prayer open us up to enter into the realm of God with faith and trust so that we can receive God’s gracious presence and loving mercy. We cannot do that, however, unless and until we let everything go (including our own lives) into God’s hands seeking only union with God for God’s sake and not our own. “Blessed are the pure in heart, for they will see God.” (Matthew 5:8, NRSV). May we all have the grace to accept things as they are, and let them go so that we may experience the fullness of God’s love in this world and in the next. “Yearn for everlasting life with holy desire. Day by day remind yourself that you are going to die. Hour by hour keep careful watch over all you do, aware that God’s gaze is upon you, wherever you may be” (RB: 1980: The Rule of St. Benedict. Chapter 4 On the Tools for Good Works, verses 46-49). The image and quote I have used to introduce this reflection today do not exactly inspire us. At least not in the way we would like. We have grown use to making our lives so comfortable. In addition, the news media over charges our sensations to the point that we have to tune it out. Not without good reason. St. Benedict gave these tools for good works in The Rule so that his monks would work at holiness through both interior and exterior means. It was not enough to have those sappy moments of contemplation and remain motionless. God was to be found in what we do from the secrets of our hearts to those things we do before others. The search for God was to be an all encompassing venture that God calls us to. Our job as disciples, is to listen and respond. Lonnie Pratt Collins and Fr. 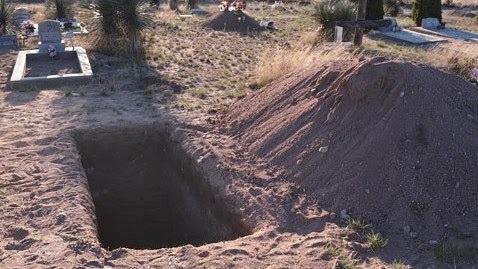 Daniel Homan, OSB in their book, Benedict’s Way: An Ancient Monk’s Insights for a Balanced Life suggest that the image of seeing ourselves next to an open grave should help us ponder very deeply what we are doing with our lives in the here and now. One day at a moment in time, we will breath our last. Our bodies will be part of the ground people walk on, or be cremated to stay in a box before someone’s fireplace and/or shrine of memory. Death is inescapable. 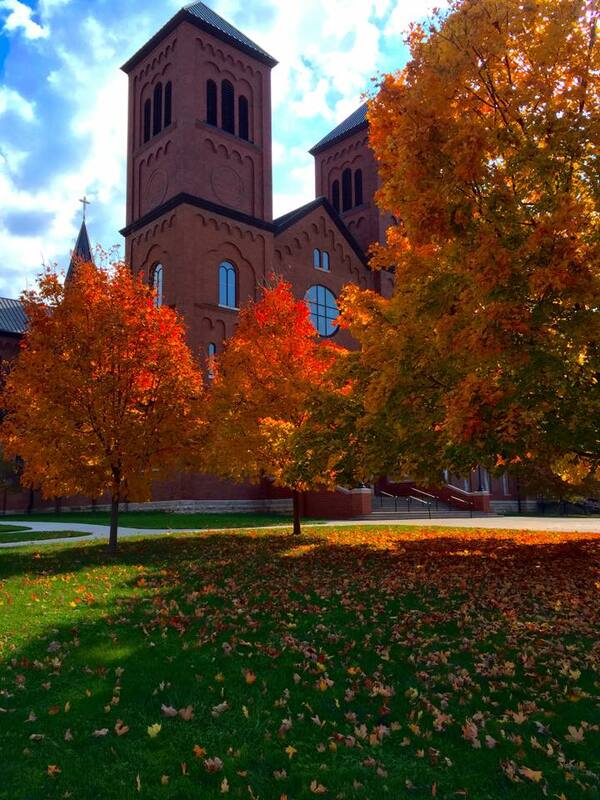 St. Benedict admonishes us on God’s behalf to put God first in our lives. He tells us to yearn for eternal life with God with a holy desire that sees in many possibilities the Holy Spirit’s work to purify our souls . St. Benedict tells us to remember that one day we will die; and that God’s gaze is upon us in the here and now. Having written that, it is our responsibility to make good use of what we are given in the here and now. We are admonished to put ourselves and all we do at the service of Jesus Christ who’s return we are all awaiting in this Season of Advent. The LORD is my light and my salvation; whom then shall I fear? the LORD is the strength of my life; of whom then shall I be afraid? (Psalm 27:1 The Book of Common Prayer. p.617). I am writing this blog post after receiving some very sad news. Evan Karges is 19 years old. He has been battling cancer in the form of tumors for quite a few years. His parents Karen and Dave have been at his side supporting him and loving him throughout Evan’s illness. Last week, Evan had surgery to try to remove a tumor on his brain. The surgeons were unable to remove the whole tumor because it contained blood vessels. The prognosis for Evan is that he has days maybe weeks left to live. The news is heart wrenching. I cannot imagine the emotions of the family. The news could not have come at a worse time with Thanksgiving one week from today. As devastating as this news is, it is the words of Psalm 27:1 that gives me a vision of God’s mysterious will through this very dark experience. Amidst the darkness of death, despair and life’s most challenging times; God is our light and salvation. We have nothing to fear. As I meditate on this verse and the situation with Evan, I am inspired by the Karges families’ courage. They are the embodiment of the courage that well all need when confronted by a tragedy such as this. Such courage comes from faith that is our path to trust in God no matter what happens. The photograph above the Psalm verse shows a blinding light that pierces the storm and/or night clouds. The light is illuminating everything that is hidden. The scene below is full of beauty and mystery. We know there is a mountain, some trees and possibly a river. What we do not know is what is going on in each of them that even the light cannot help us see. Such can be the case for us in our own lives. Whether everything is visible to the human eye or only known to God and ourselves alone; the Light that is the God of our salvation is there in the Person of Jesus Christ walking through our dark times with us. God is grieving and weeping with and for us. God doesn’t always heal or deliver us from death. However, our hope of salvation here and in the next life is always in God’s hands. We should therefore, never be afraid. In the bulb there is a flower; in the seed, an apple tree; in cocoons, a hidden promise: butterflies will soon be free! In the cold and snow of winter there’s a spring that waits to be, unrevealed until its season, something God alone can see. (Words from Hymn of Promise written by Natalie Sleeth. Hymn #101. The United Methodist Hymnal). Minnesota is getting our first snowfall today. If you are not familiar with the climate in Minnesota, allow me to tell you about it. Minnesota winters are really cold. In the months of December, January, February and March; Minnesotans experience temperatures as low as -5 degrees Fahrenheit with a windchill of -35. 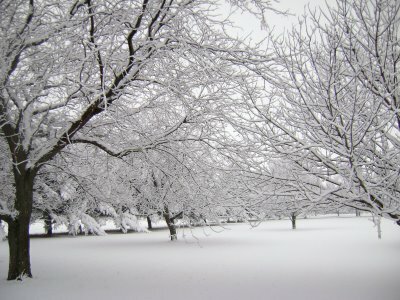 The first snowfall can occur as early as Halloween. The snowy weather will most likely be with us through late March. It is not unusual for us to get snow in April. A year and a half ago, it snowed here on May 5. Many Minnesotans dread the first snowfall because it means the beginning of a long winter. A few of us love the first snowfall and love it until Christmas; then we wish for it to go away. The hymn by Natalie Sleeth is one of my all time favorite hymns during the winter months. The words, “In the snow and cold of winter there’s a spring that waits to be, unrevealed until its season, something God alone can see” are suggestive of letting go. They tell us to live by faith and not by sight. What we see on the surface covers the beauty being recreated beneath. As with anything worth while, what is beautiful and giving birth to new life cannot be fully appreciated; unless, we accept the reality of what is in the here and now. Death is a reality of life that cannot be avoided. In The Rule of St. Benedict Chapter 4 “On the Tools of Good Works” verse 47 it reads, “Day by day remind yourself that you are going to die.” St. Benedict included this as part of his admonition for us to do all we can do in the here and now. It is so vital for us to submit ourselves to the contemplative vision of God in the everyday ordinary events of life as they are. Could the reason why we become so down and dreary during the snowy cold weather is because of how much it reminds us of death? As warm as we all are, someday our bodies too (even if we chose cremation) will sleep in the coldness of death. Yet, what is really happening is a new spring being born in snow and the cold of winter; just as the greater hope of Resurrection is awakening in death. The Preface to the Liturgy of the Commemoration of the Dead includes these words. For your faithful people, O Lord, life is changed, not ended; and when our mortal body lies in death, there is prepared for us a dwelling place eternal in the heavens. (The Book of Common Prayer,. p. 382).